Researchers assigned 41 women to either a stair-climbing intervention or a nonexercise control group for 12 weeks. Exercisers met four times per week and climbed 192 steps two to five times per session. The scientists tested both groups for arterial stiffness (using pulse wave velocity) and measured each participant’s blood pressure and leg strength. All measures improved in the stair-climbing group compared with the control group. 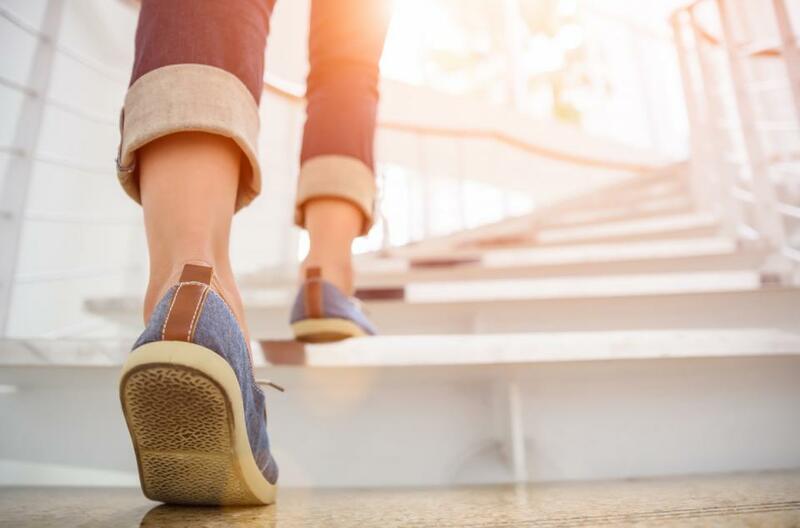 “This study demonstrates how simple lifestyle interventions such as stair climbing can be effective in preventing or reducing the negative effects of menopause and age on the vascular system and leg muscles of postmenopausal women with hypertension,” says JoAnn Pinkerton, MD, executive director for the society, in a press release. The report was published in Menopause (2018; doi:10.1097/GME.0000000000001072).